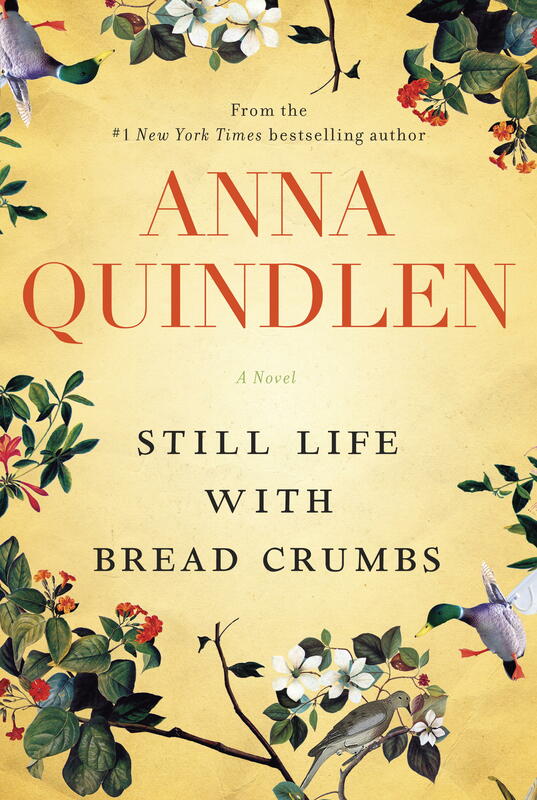 Still Life with Bread Crumbs by Anna Quindlen, Random House, 2014, 252 pp. This qualifies as book #2 in the “light summer reading.” As far as I know, I’ve never read an Anna Quindlen novel before. They always struck me as too sappy, with women characters who were too predictable to be interesting. This one was a basic story of a woman finding herself and finding love, in an unexpected place and in spite of obstacles. I read it in an afternoon on vacation. Rebecca Winter is famous for a series of photographs called “Still Life with Breadcrumbs,” which have given her money and artistic respect, and made her a feminist icon. However, her work has not continued to thrive, and her divorce, care for her son and parents have left her nearly broke. She moves outside New York City to a small-town cabin, where she breaks with her Manhattan snobbery habits for the first time in her life. She meets Jim Bates, who fixes her roof and becomes her friend. Rebecca takes long walks in the woods, and joins Jim in looking for wildlife. Along the path, she discovers mysterious memorial crosses and begins to photograph them. You can predict the outcome from here, can’t you? Rebecca and Jim find love in one another. Her photographs in the woods bring her back to artistic promise and financial security. Of course, there are interesting twists and turns along the way, some star-crossed lover moments with the two of them, and some interesting secondary plots with Rebecca’s parents. Don’t be mad and accuse me of spoilers. You will know from the first chapter, just like I did, that Rebecca and Jim are destined for each other. In the end, though, it’s a story we read not to find out what will happen, but exactly how and when it will happen. There’s nothing wrong with that, and it made for a fun vacation afternoon. Still Life with Breadcrumbs is a simple story of a woman finding herself, getting her groove back, and finding love. Rebecca Winter is not an especially well-developed character with a rich internal life, but consequently we can read ourselves into her story. She gives us the opportunity to become her for an afternoon, and perhaps discover that we too can find ourselves, get our groove back, and even find love old or new. Enjoy your summer reading!